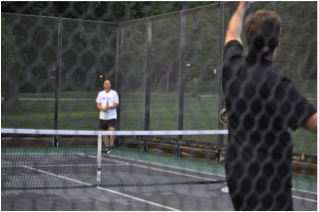 It’s July 12, 2012; 7:30 pm; 93 degrees; and yet we have 6 courts full of paddle players at Katherine Legge Memorial Park in Hinsdale, IL for the Hinsdale Summer Paddle League. This was a typical night for the summer league, which had approximately 50 participants in its inaugural season. 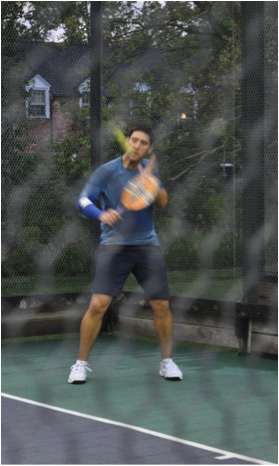 From my perspective, I learned more and grew more into the sport through my play during the summer months of 2011. We were thinking 2012 was going to be no different. With the general growth of the sport and the advent of the low bounce balls, however, we started to think bigger. What started as a loose discussion with 5 friends blossomed into an 11 week regular season followed by a playoff with 50 players participating. We even received regular participation from several other clubs, whose facilities were shut down during the summer months. Given our relatively modest size, we utilized a non-traditional format focused on individual performance with no set teams. Prizes were doled out to the top 6 players and for the winners in each of the six playoff flights. 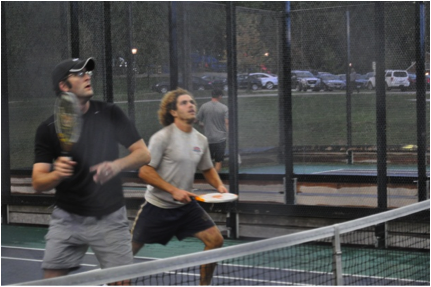 Players regularly stayed after league matches for pick up play and socializing. In addition to being a lot of fun, the summer league could be used as a tool for player advancement and improvement, as well as means for player placement within a club system that has over 200 players. 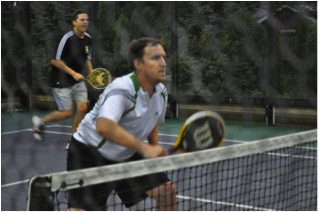 “In addition to building a stronger paddle community at KLM, the Summer League was a great opportunity for me to improve my game by playing against lower series players (which generally does not happen during travel league play). When I think about league play starting, the 11 weeks of learning the strengths and weaknesses of potential partners is going to be invaluable,” said summer league participant, Eric Clamp. It is also a means to introduce new players to the sport who may be more apt to try it when the temperature reads more than a bit above 20 degrees. 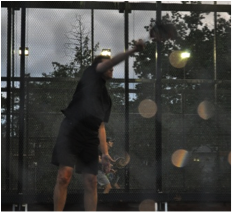 The initial season was incredibly well received and we have had many solicitations for participation in an expanded Hinsdale summer league next year. We may need to transition to a more traditional team format, based upon participation levels for next season. 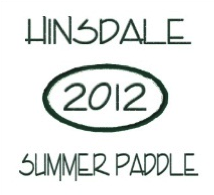 We certainly feel the sport is ripe for expansion to a year round activity – at least we know it will be in Hinsdale, IL.